JI has unearthed cases of fraud involving its own employees that may trigger losses of about 1 billion yuan (US$150 million) for the world’s largest drone maker, marking one of the largest recent cases of graft among China’s technology giants. SZ DJI Technology Co., which discovered the corruption in an internal probe, said it’s fired multiple workers who inflated parts costs for personal gain, and contacted law enforcement. The drone maker is still looking into the situation, which is “extensive” and involves a major sum, it said in a statement. The company didn’t say how many employees were involved in the instances of graft. 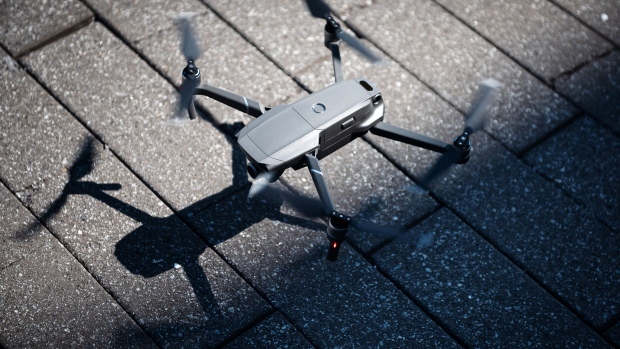 DJI, which employs 14,000 people around the globe, is the runaway leader in consumer drones with almost three-quarters of the market. The case exposes a lapse in internal controls at one of the country’s best-known consumer technology giants, a symbol of the rising global reach of a clutch of fast-growing corporations based in the southern metropolis of Shenzhen. Hong Yongxin, a company spokeswoman, confirmed the loss amount separately. DJI in recent years has also begun tackling a still fairly wide-open enterprise arena. It’s developed unmanned aerial vehicles for agriculture and surveying as dozens of competitors around the world flood the market with cheap drones, from $10 toys to sub-$100 camera-carriers. Its $1,999 Mavic 2 is aimed squarely at an enterprise segment that accounts for more than half of a $9 billion market. Among other things, the company’s put out a development kit that lets software developers write applications for specific tasks, similar to the way Apple Inc. caters for its iPhones. In October, the company announced deals for the Mavic 2, which will soon survey power grids for Southern Co., while American Airlines Group Inc. will test the craft for plane inspections.